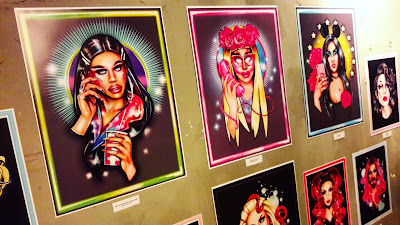 Illustrator Heezy Yang & TheDrinkyBear are hosting an art exhibition to celebrate this year's Pride Month. 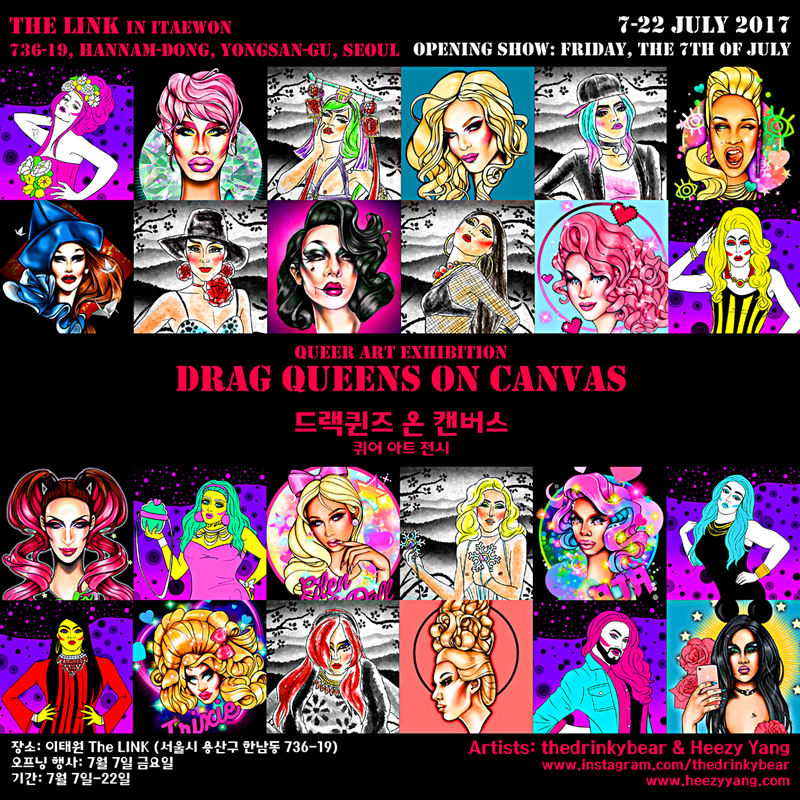 They will be exhibiting some of their illustrations of some of the finest local & international drag queens. 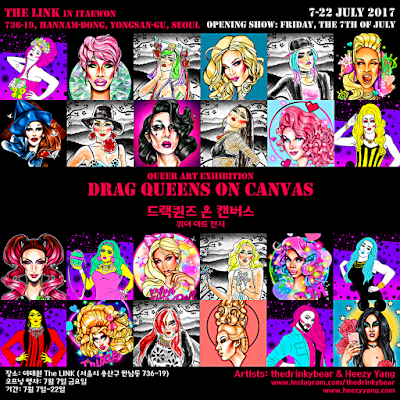 This event is officially supported by Korean Queer Culture Festival (aka Seoul Pride). 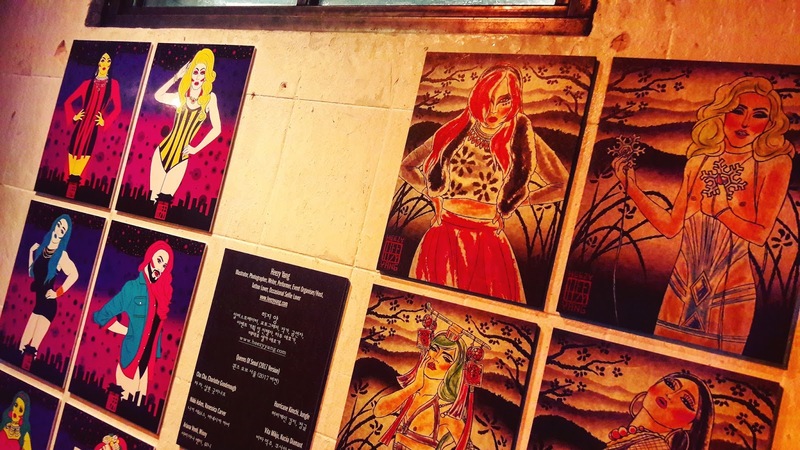 There will be drag performances and live music on the opening night so do not miss out! 세계적인 프라이드(퀴어문화축제)의 달을 맞이해, 이를 축하하고자 일러스트레이터 히지 양과 더 드링키 베어가 공동으로 전시를 개최합니다. 이번 전시의 주제는 "드랙퀸"으로, 국내의 드랙퀸들은 물론 세계적이고 국제적인 드랙퀸들의 모습 또한 전시될 작품들을 통해서 만나보실 수 있습니다. 게다가 오프닝 날에는 드랙쇼와 라이브 뮤직 공연까지 준비되어 있으니 놓치지 마세요! 이 행사는 2017년 퀴어문화축제의 공식 지원 이벤트 입니다. ***The venue opens at 8pm every day, except for Mondays. ***더 링크는 월요일을 제외하고 매일 저녁 8시에 오픈합니다.